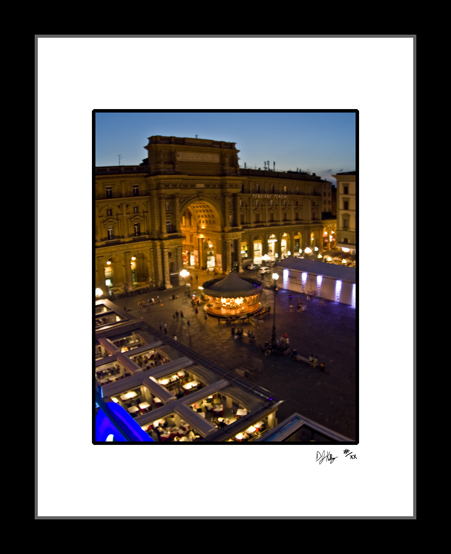 This photograph of the Piazza della Rebulica in Florence, Italy was taken during the night. This photo captures the square lit up for the evening stroll and dinner in the square. Piazza della Rebulica is one of the main squares in Florence. The square is centrally located to Il Duomo, the Bell Tower, the Uffizi, and Ponte Vecchio.